Sensitive teeth are the bane of many people it can crop up at bad times and make things difficult for you. There are a lot of reasons that teeth can become sensitive let’s take a look at two very different ones and what you can do to help that. 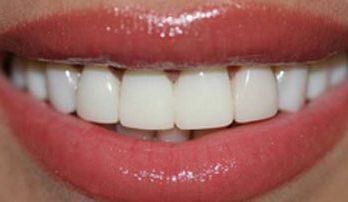 Getting veneers is one way that you can cause some sensitivity issues with your teeth. It is very normal for the first few days maybe even up to a week after the procedure that you have swelling and some sensitivity issues. However if you notice that this goes on for a prolonged amount of time you may want to speak with your dentist about it, as it is not normal. It could be a different underlying issue that is causing the sensitivity or perhaps one of the veneers was not attached correctly. By having open conversation with your dentist about what is going on you will be more likely to find the cause sooner and get back to comfortable tooth health. Completely unrelated to veneers but something that many adults notice causes their teeth to become sensitive is after a night of drinking, their teeth have a high sensitivity rate. This happens for several reasons, one of which is because all kinds of alcohol dehydrate you and one sign of dehydration is sensitive teeth. There is also the fact that alcohol is acidic can cause those sensitivity issues as well. If you drink a great deal of alcohol over time it can also strip the enamel off your teeth which will add to the sensitivity issues by exposing your teeth and the nerves. The best thing to do to help curb these issues is to brush your teeth after any run of drinking, although you should wait an hour or two because the acids will have softened your enamel. By waiting you let the enamel harden again so you do not strip it while brushing.